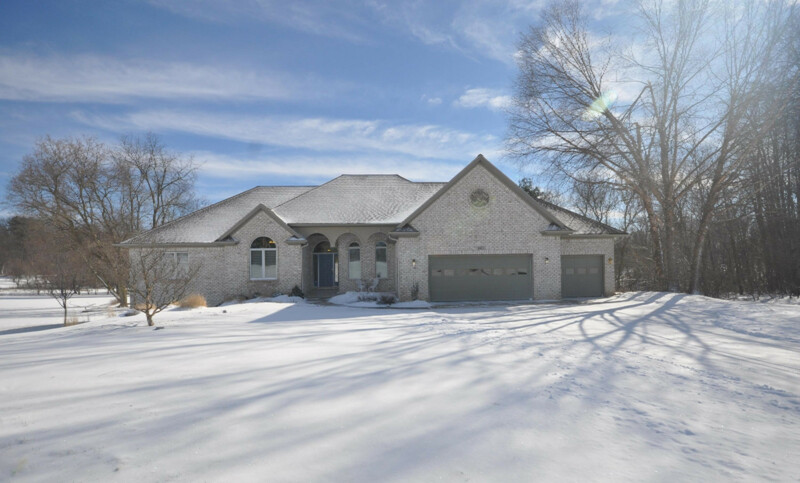 Sprawling, 5-bedroom ranch in an ideal location across from Egypt Valley Country Club. This impeccably maintained and inviting home offers custom-finish details and great natural lighting in virtually every room. Beautiful hardwood floors, crown molding, columns and built-in shelving await you. Enjoy eastern sunrises and expansive views of the large backyard from the kitchen, breakfast nook and family room. Spacious walk-out lower level has 1260 sq/ft of living space with another 700+ for potential finishing. Long-time owners have taken great care of this home including newer furnace, AC, water heater & septic tanks. Garage recently drywalled and insulated; siding & deck stained along with fresh landscaping within the past 24 months. Sellers providing Home Protection Plan, too.